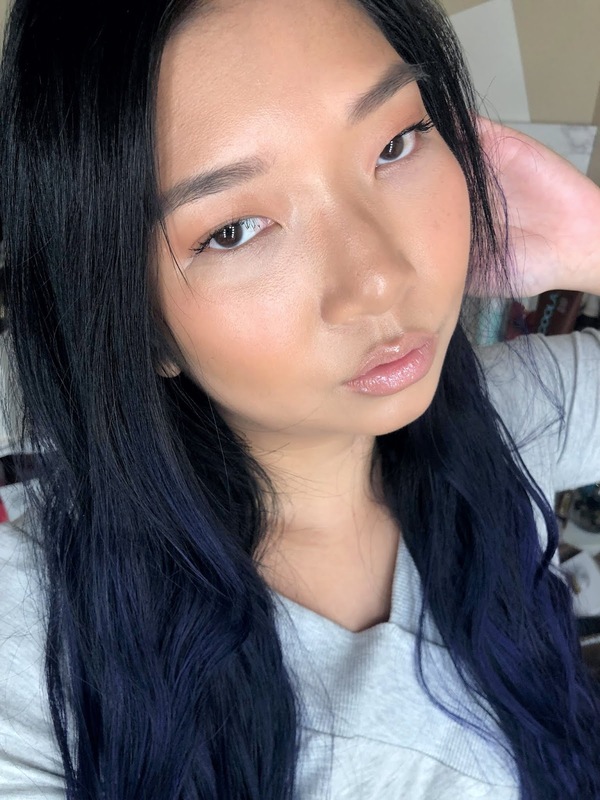 I went back and forth on whether or not I needed this foundation, during the recent Sephora sale, I gave in after a couple days and spoiler alert: I'm so glad I did! This foundation is love at first use! Yes, it is that incredible! If you've always wanted an easy way of achieving the "glass skin" look, look no further! 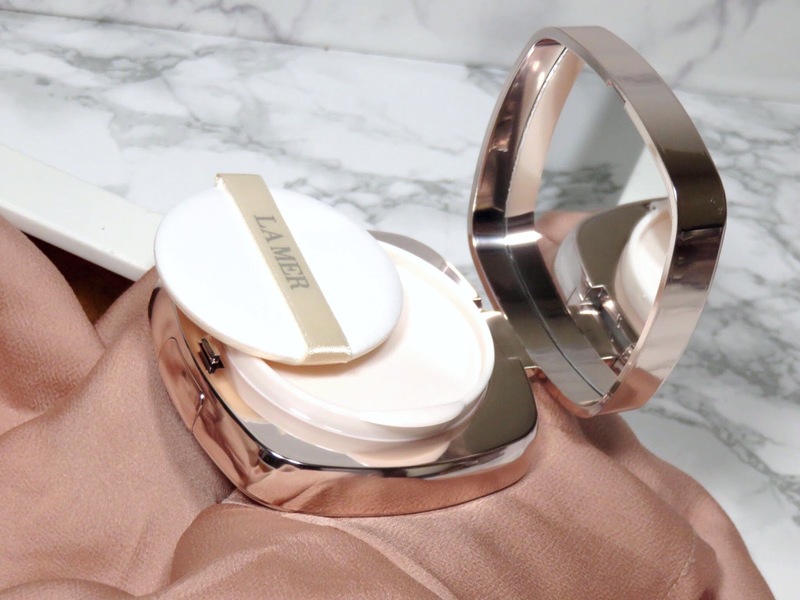 The La Mer The Luminous Lifting Cushion Foundation SPF 20 retails for $120.00 USD and is available at Sephora and other retailers. 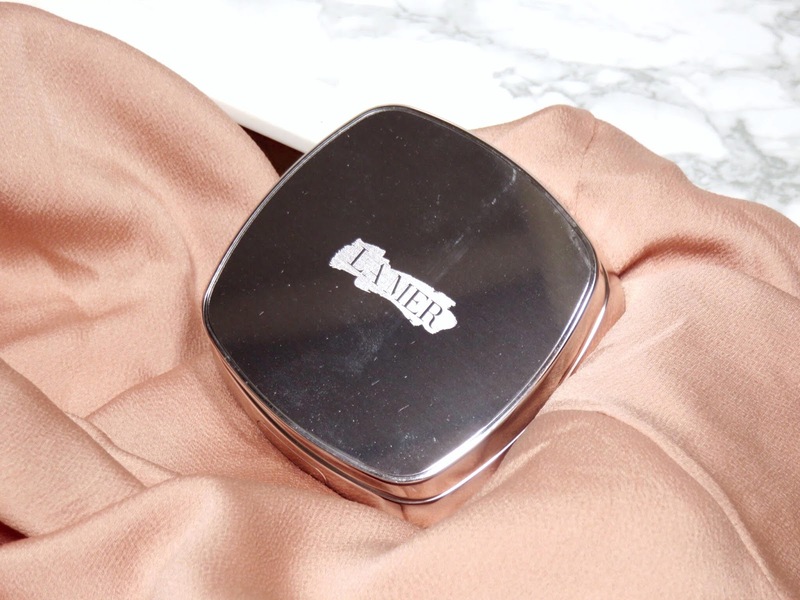 This cushion is beautifully housed in a reflective metallic rose compact with a button on the side to open the compact. It looks and feels incredibly luxurious but still quite light. The only issue I have with the compact is that its very scratch-prone because of it's reflective packaging. Other than that, the shape, size, and quality is excellent. It's very sturdy and seems to seal the product very well and keeps it from drying out. 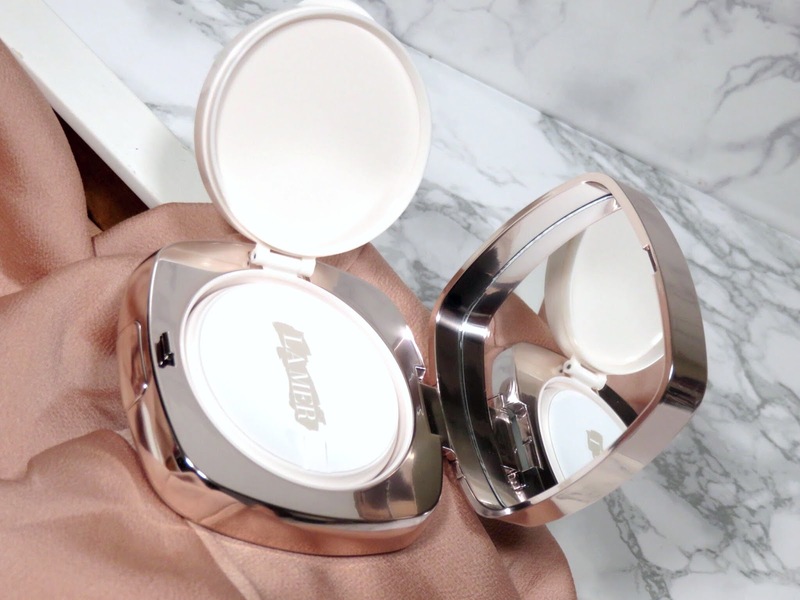 A refill is included in the package, as is typical of many cushion foundations. At the moment, many retailers are not carrying individual refills for sale. However, I have seen it on La Mer's website for $90.00 USD but I don't see a shade selection here. I have a feeling you will have to buy a brand new set if you want to continue using this foundation. This foundation comes 12 shades, 6 warm toned and 6 cool toned, which is honestly really decent considering its a cushion foundation. Most cushion foundation shade ranges are awful, this one is average. I bought the shade Warm Bisque, which was a shade I was matched to at a counter and it appears that everyone with an NC30-NC35 skin tone has also been matched to this shade. 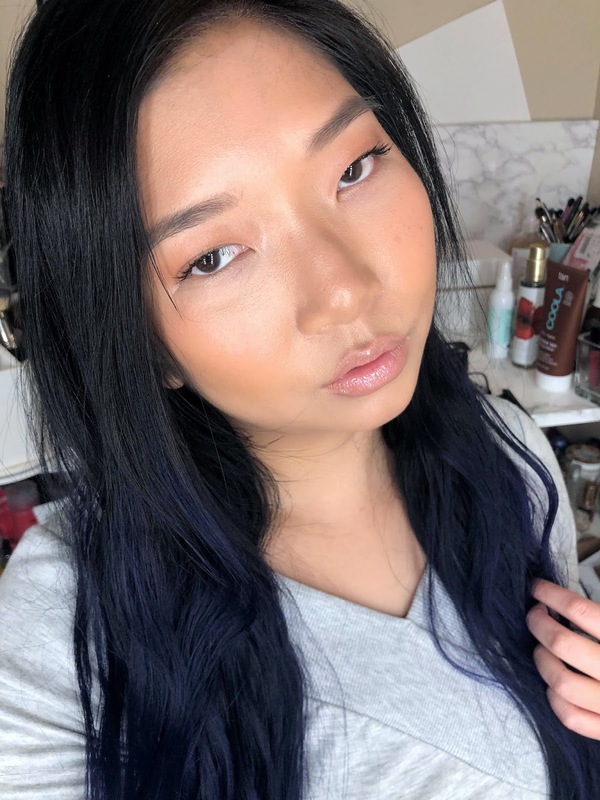 However, I find there is an adjustment period, initially the shade is slightly pink-toned upon first application and even a little bit into the wear but it starts to adjust after a little bit of wear and seems to fit my skin tone. It could be oxidizing depending on what I have underneath because this doesn't happen all the time. I would recommend heading to a counter and getting match before buying since the shade range is a little weird and it doesn't correlate with their existing foundation range. I do feel after having worn this foundation for several months, that this is my correct shade. The coverage of this foundation is insanely full for how incredibly light it feels! The cushion itself is highly saturated, more so than traditional cushions that I have used. There is a lot of product already on the surface of the sponge and doesn't require you to press very hard to pick up product. You can get full coverage with only a few dips into the cushion! That is how pigmented the foundation is but it doesn't feel heavy or like you're wearing a full coverage foundation at all! In fact, the foundation feels incredibly nourishing and continues to feel hydrating and nourishing throughout the day. As I have mentioned in previous reviews, I am not a fan of the included applicator sponges. I find them tedious for application and they don't achieve the best finish to the skin. I prefer a very dense brush and using a stippling motion to apply my cushions. I find this method gives me the most coverage and the most flawless blend to my base. My favorite brush for this is the Artis Mini Palm Brush, read my review on this brush here. 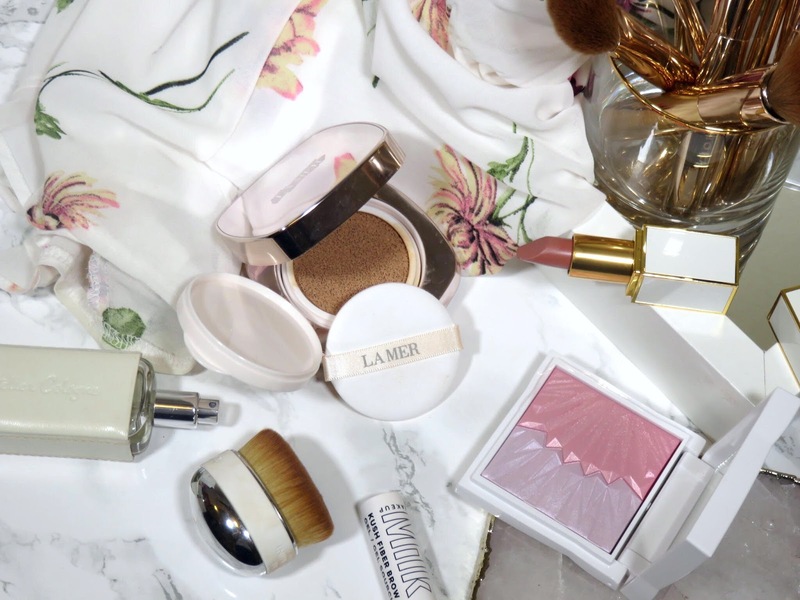 Additionally both powders and creams blend very well on top of the foundation. 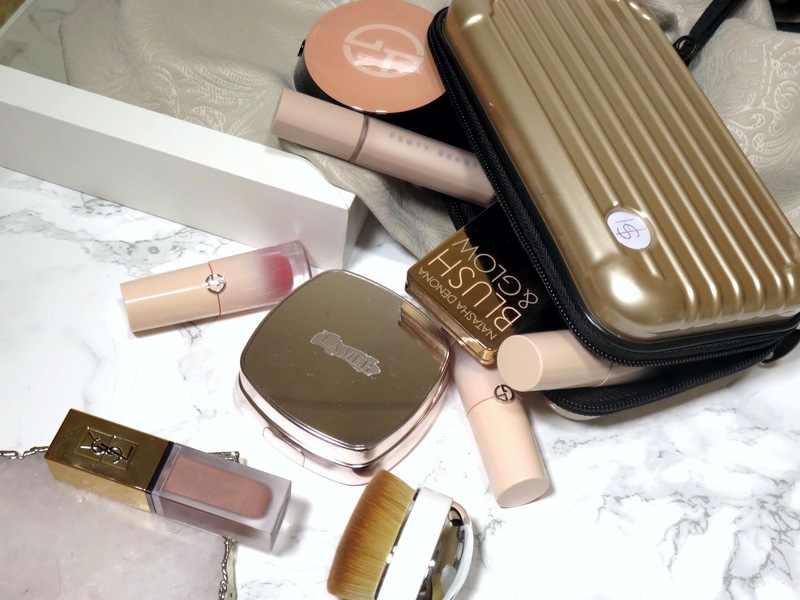 This foundation gives you the most flawless GLASS SKIN LOOK! Without even trying, just using this foundation, you get the most stunning glossy and healthy looking skin. I immediately fell in love with this foundation from the first time I wore it. I couldn't believe how beautiful and fresh my skin looked! 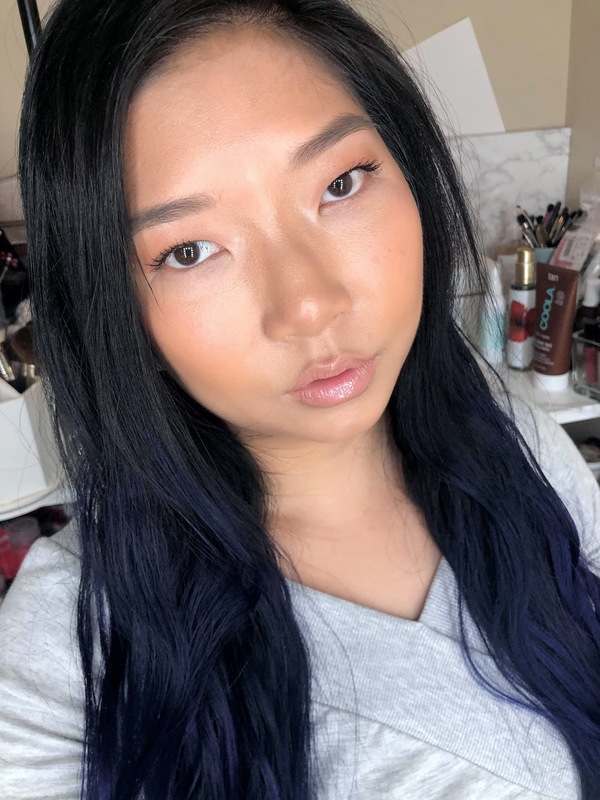 Even my best attempt of achieving glass skin (tutorial here), doesn't come close to the finish of this foundation! Obviously, this is an extremely glowy and dewy foundation. 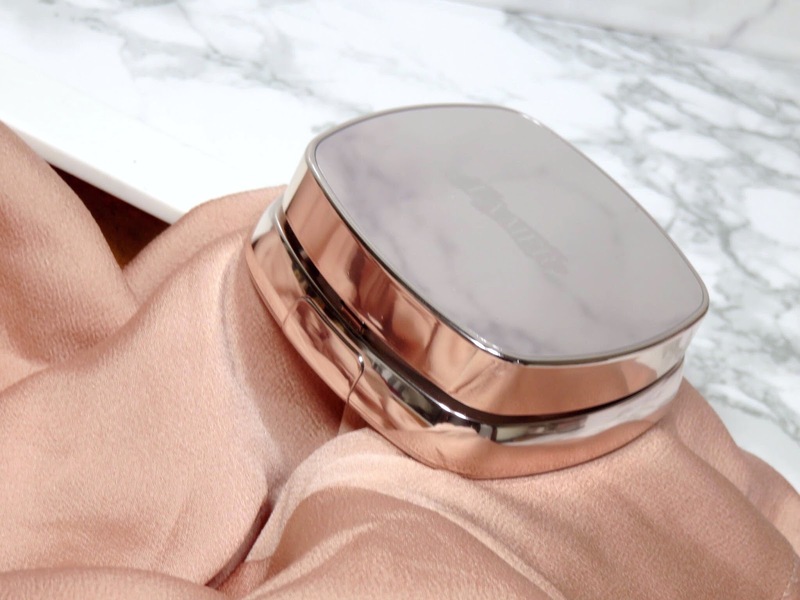 This is the dewiest cushion foundation I own, making it best for dry and mature skin types. I would recommend selectively setting parts of your face because of the intensity of the glowing finish. However, I would avoid setting the whole face because the glow is so beautiful and so hard to mimic with other products! This foundation does lightly "set" but it isn't transfer-proof. If you touch your face, you will notice a bit of transfer. However, even if you chose not to set this foundation, I have found this foundation lasts on my dry skin beyond 8 hours. Oils will come through over time, which is why I recommend setting in specific areas to avoid looking too shiny. While it is called a "Miracle Broth", I have high doubts that it will be performing any miracles. Just read about this lawsuit by Chinese customers for false advertising and this article on the true cost of making a La Mer cream. Skincare infused into makeup is a nice bonus but it will not transform your skin but it will help maintain the condition of your skin. It will also help nourish your skin while you wear makeup, which I have noticed with this formula. I find this formula is incredibly nourishing and hydrating. This helps my dry skin not only look better but feels good throughout the day. Just don't expect any miracles. 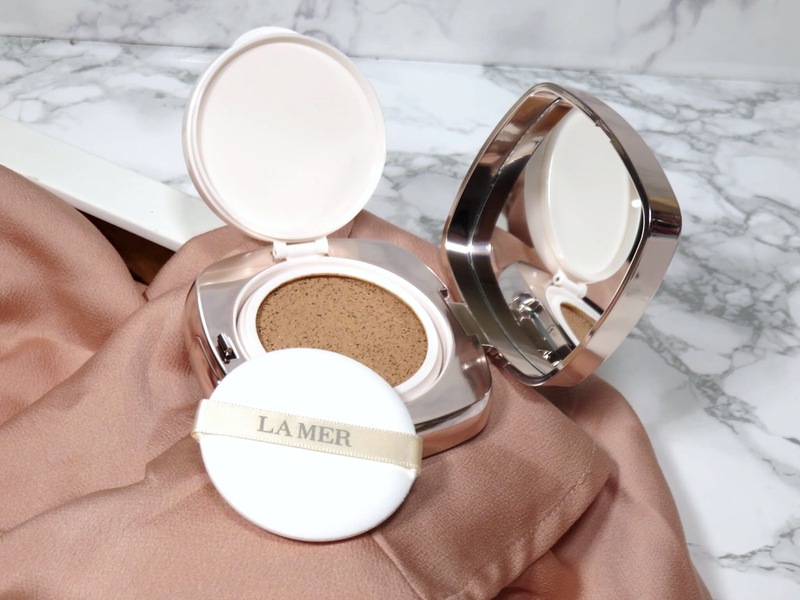 I have explored quite a few luxury skincare-makeup hybrid foundations and cushions this year but this one is by far my favorite! This formula suits my dry skin type so well! It offers an irreplicable finish to my skin, a TRUE glass skin effect! I rarely say this about foundations but this is the best my skin has ever looked! While I have a couple luxury skincare infused foundations that make my skin look really good, none have created this glass skin effect that this one does. I love the super lightweight and nourishing formula. The coverage is also incredibly full for how luminous the finish is, which is incredibly rare in a foundation. 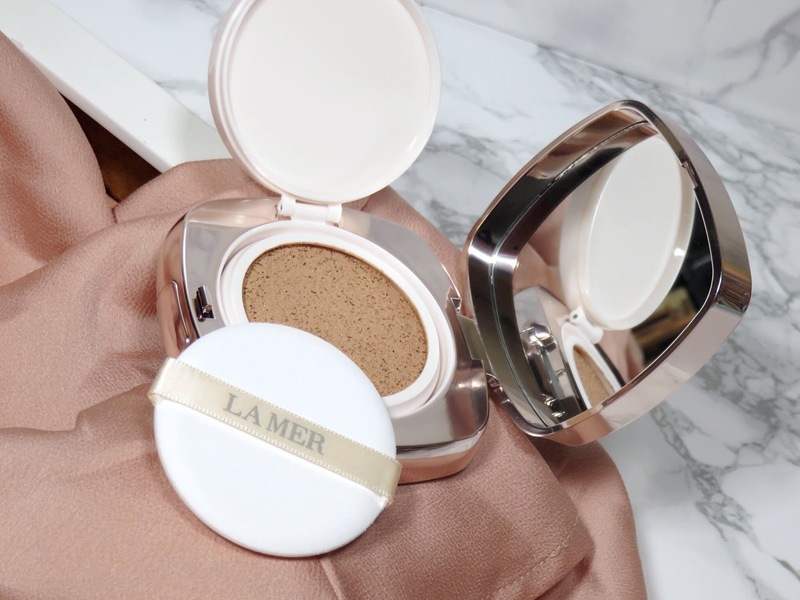 You often find luminous finish foundations lack pigmentation but La Mer has really create something special here! Even if this didn't contain the "Miracle Broth", I think this foundation is worth the cost! The unique finish is something that I am always trying to achieve but have never been able to until using this foundation! While I don't think the skincare benefits are potent, it really does make my skin feel good and look good throughout the day. That is enough for me to repurchase this foundation again and again. Auch the price is steep even if it's La Mer.. Saying that, I've been wanting to try their liquid foundie for ages. Same with the cushion, so far my favorite is the beige one from Chanel. Such a thorough review, thank you! I'll need to check this out when I pass a counter.